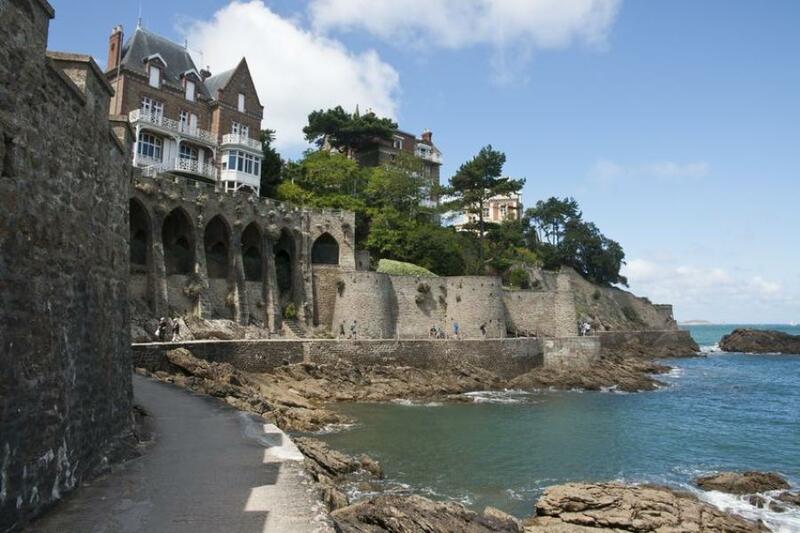 Dinard is situated on the opposite bank of the river Rance and can clearly be seen from Saint malo. 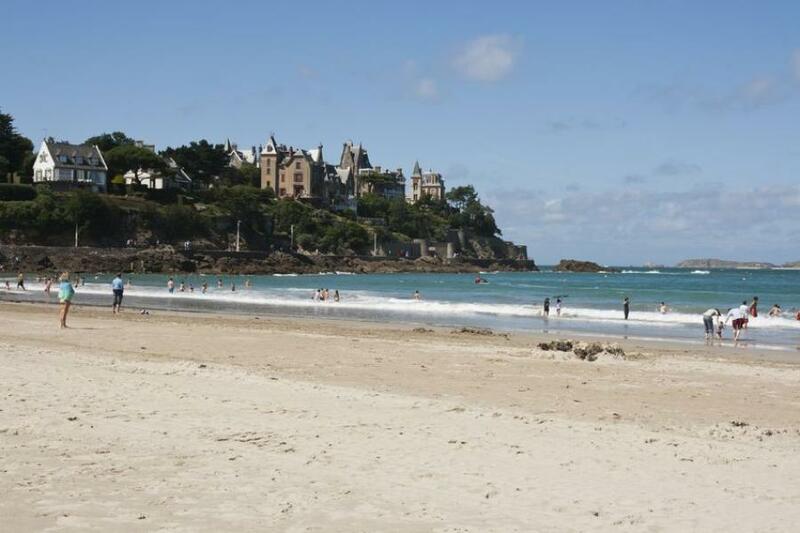 Dinard first came to prominence during the 19th century and was one of the mots fashionable resorts in Europe. It was the destination of choice for wealthy British and American holidaymakers, who built magnificient villas in and around the town. 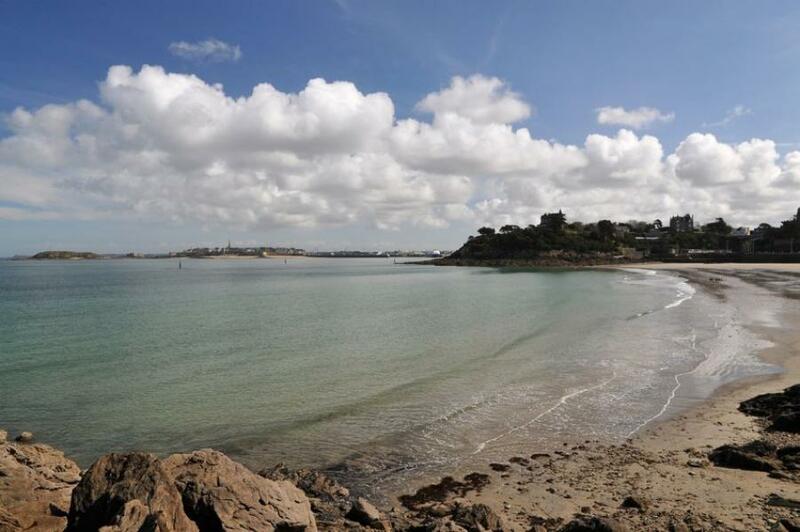 By car: By crossing the Rance barrage who was the world's first tidal power station when completed in the Sixties. 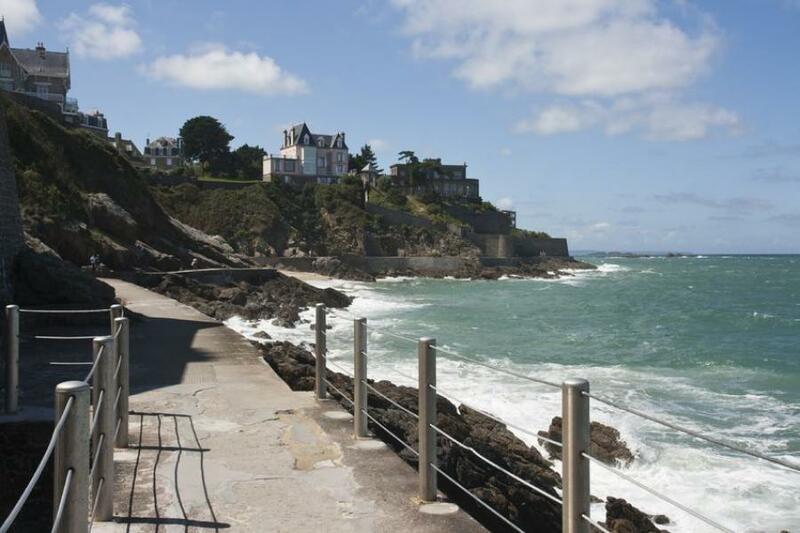 Nowadays, the square named after Marshall Joffre, half way along the main beach of Plage de l'Ecluse is the focal point of the town. 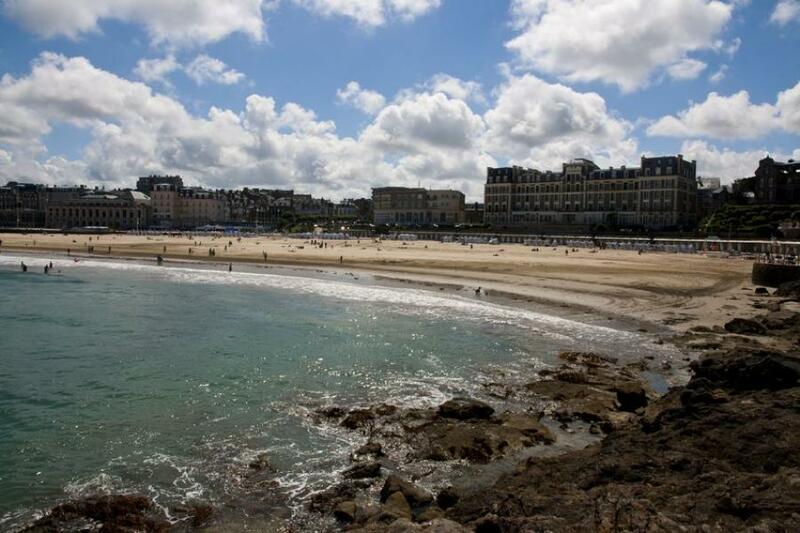 A casino, a swimming pool, hotels and restaurants look out over the large sansdy beach which is backed by a neat line of blue and white sun shelters.